Man I was really blown away by Taiyo’s birthday. Mizuho did an incredible job of rallying the troops (her rapidly expanding network of friends). My sole accomplishment was to get a square-foot miniature charcoal grill to produce hot dogs and hamburgers in a strong headwind to feed the women, children and assorted daddies. 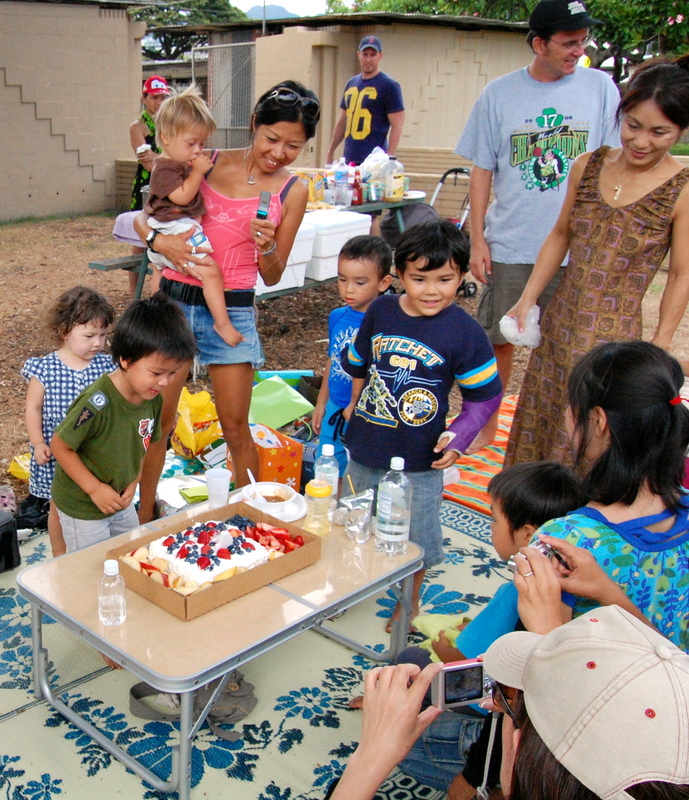 I was surprised at the turnout, but it really hit home when Taiyo started opening his presents. They just kept coming and coming, piling up like so much junk made in China. It is a good thing we left half of the boys toys back in Japan, because he made up the difference in one fell swoop. Best of all, he got the skateboard he wanted. So now I don’t have to hear him say, “Daddy, when’s my skateboard coming?” anymore.